The proximity of the region to the United States and the many key passages (choke points) and vital sea-lanes running through the Lesser Antilles and Bahamian archipelago and through the Greater Antilles make the Commonwealth Caribbean a strategically significant part of the world and thus an arena of international power competition. Until a revolution brought Fidel Castro to power in Cuba in 1959, the hegemony of the United States in the Caribbean had been unchallenged since the late nineteenth century. In October 1962, the Soviet Union challenged that hegemony and threatened the United States by attempting to install ballistic missiles in Cuba. 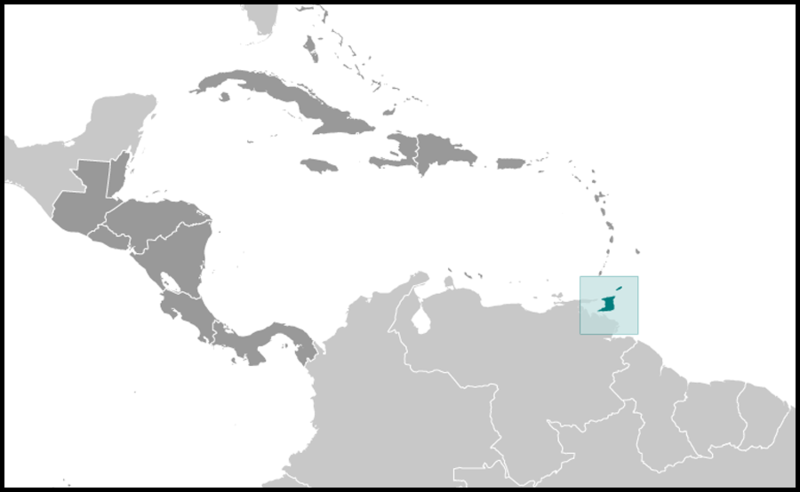 Although the United States forced the Soviet Union to withdraw its missiles, during the 1970s and 1980s the Soviets developed the island into a Soviet base and the Cuban military into one of the most powerful in Latin America. Furthermore, Soviet naval deployments to the Caribbean, which had been nonexistent until 1969, became an annual or semiannual event. 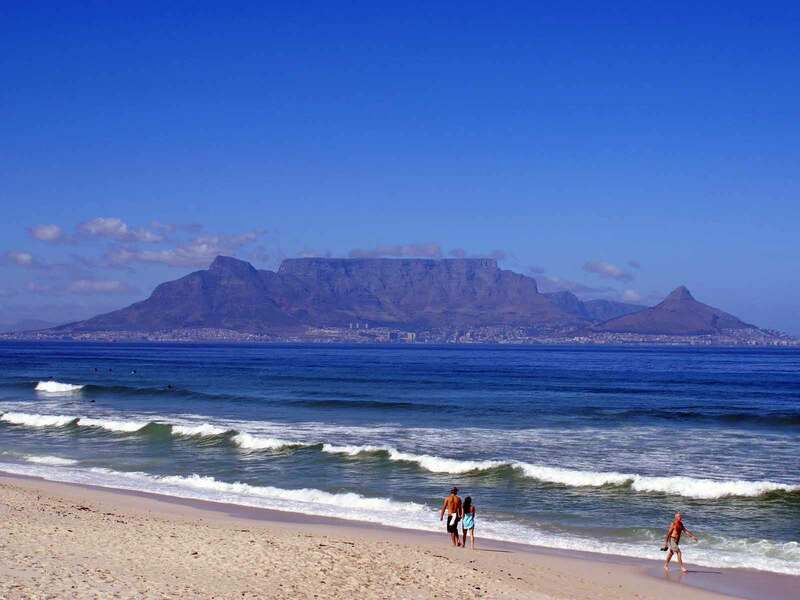 Bounded by the Bahamas in the north and Barbados in the east, the Caribbean is one vast natural chain commanding the trade routes running between the Atlantic and Pacific and from north to south. Controlling both ends of this natural barrier would be a clear strategic advantage. There are thirteen key sea-lanes in the Caribbean, eleven of which lie between the smaller islands and are deep enough to be used by any ship afloat. 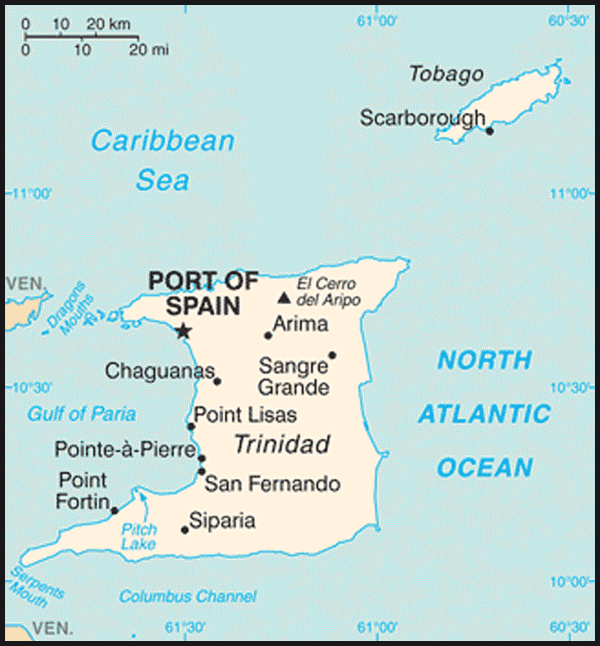 The relatively narrow passages in the Caribbean constitute choke points through which merchant or naval shipping must pass in transiting to and from North America's Gulf ports and the Atlantic Ocean. Should these passages come under hostile control, sea traffic could be seriously impeded or blocked. In the Gulf of Mexico and Caribbean Sea, a navigable area of more than 2,156,500 square kilometers, the 13 major high-density sea-lanes pass through 4 major choke points -- the Yucattttaaán Channel, Windward Passage, Old Bahamas Channel, and Straits of Florida -- all of which are vulnerable to Cuban interdiction. The Straits of Florida, Mona Passage, Windward Passage, and Yucatán Channel are the main gateways for vessels entering or leaving the Caribbean, and the Straits of Florida provide the only open-sea connection for the Gulf of Mexico. Tankers entering the Caribbean from the Persian Gulf and West Africa mainly use three passages: Galleons Passage, Old Bahamas Channel, and Providence Channel. There are a number of lesser passages as well. Once the United States became the dominant power in the Caribbean, it began taking the region for granted as its "backyard" or the "American Mediterranean." Consequently, the United States often underestimated the region and rarely accorded it priority in its foreign and security policies. After the Grenada intervention in late October 1983, the United States began significantly increasing assistance to RSS member states to improve regional security capabilities, as well as to improve their capabilities for narcotics interdiction and search and rescue operations. This aid consisted of training and the provision of coast guard vessels and light infantry equipment. Although capable of dealing with regional security threats such as a mercenary attack or a rebellion, the RSS in the late 1980s was no defense against possible future military aggression by Cuba. Britain's only significant military presence in the Western Hemisphere was its sizable force in the Falkland/Malvinas Islands and its 1,800-member force in Belize, including Royal Air Force units. As head of the Commonwealth of Nations, however, Britain was still one of the most important influences in the English-speaking Caribbean. Although no longer responsible for the defense and security of most Commonwealth members in the region, Britain continued to maintain a Royal Navy ship in the area and to provide advisers and financing for RSS coast guard shore facilities, as well as police training for 200 Caribbean nationals a year at British military and security establishments. Britain showed its flag in the region on January 19, 1987, by dispatching 10 Royal Navy warships carrying 4,000 sailors for 3 months of Caribbean exercises. The forces were scheduled to engage mostly in antisubmarine warfare operations and North Atlantic Treaty Organization (NATO) war games. Britain's defense chief, Admiral Sir John Fieldhouse, paid a two-day visit to the Bahamas that February for "routine talks on matters of mutual interest." In contrast to Britain, France maintained a permanent and relatively powerful military presence in the region in its departments of Guadeloupe, Martinique, and French Guiana. Nevertheless, France traditionally had not interfered in the affairs of its English-speaking neighbors in the Eastern Caribbean.